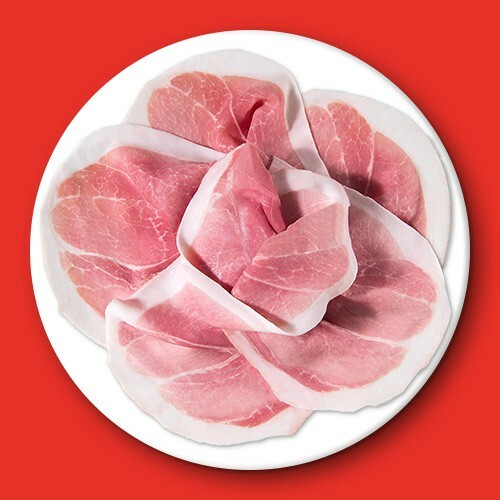 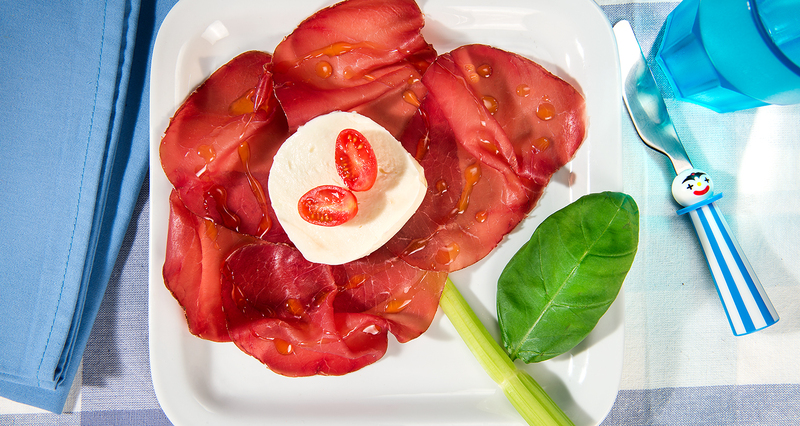 Put the slices of bresaola in a plate, giving them the shape of a flower. 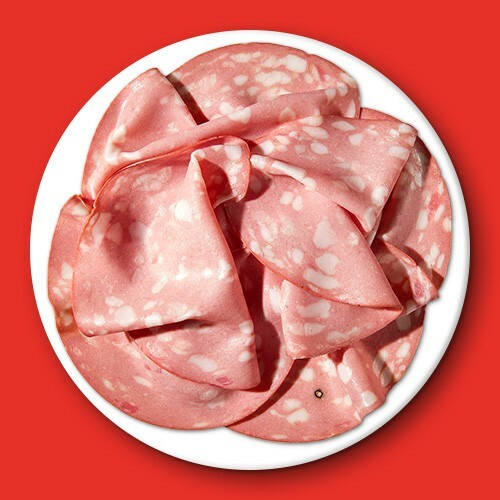 Cut the mozzarella into two, obtaining a round shaped piece, to be put at the centre of the bresaola flower, like a flower pistil. 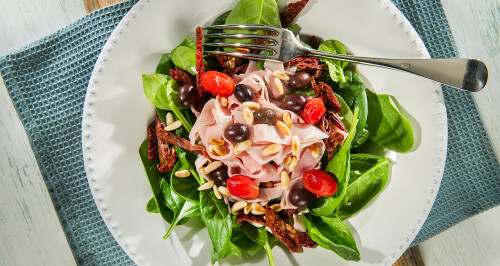 Complete the dish by decorating with the celery stalk (the flower stem), the basil leaf and the cherry tomatoes. 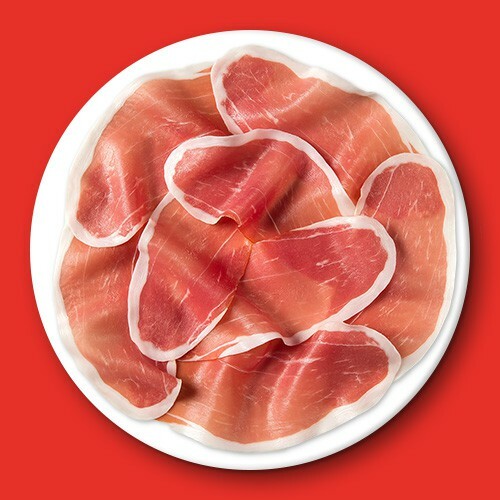 Season with a trickle of extra virgin olive oil. 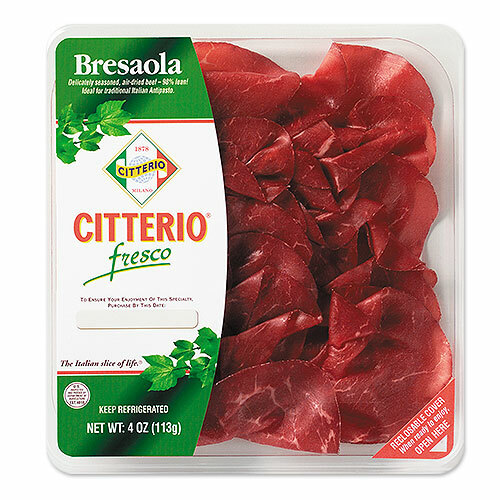 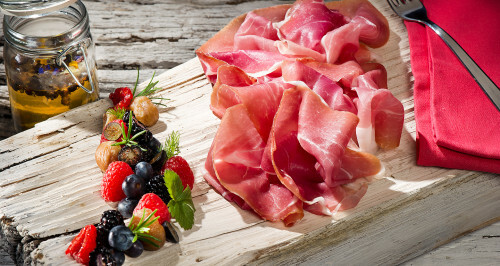 With this dish, children will enjoy bresaola more!